When Miss Aleixa Tarabotti is accosted in a library by an uncouth vampire determined to bite her, he has no idea just what a mistake it is. Born without a soul, or being a Preternatural, all Alexia has to do is touch him and his abilities disappear. Seeing as all vampires are highly educated by their hives in social manners, this uncivilized behavior is most unusual. 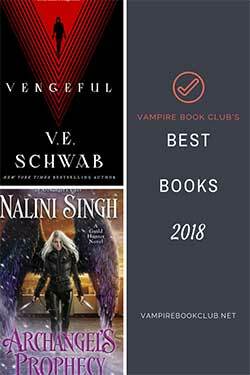 When it comes to light that rogue vampires and lone werewolves are going missing, along with unaccounted for vampires turning up, Alexia soon finds herself in the middle of a supernatural mystery. Armed with her trusty parasol she is determined to investigate, crossing paths with flamboyant vampires, sinister stalkers and one gruff, callous but rather dishy werewolf alpha, Alexia is in for the adventure of a lifetime. The world Carriger has built is just so fun to jump into. The lush vivid colors of the fashion, the larger than life characters, the excitement and change caused by the steampunk element. It’s also the first historical paranormal book I’ve read were the supernatural population is known to the general public. 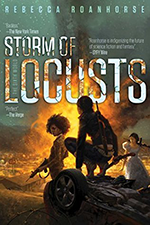 The plot has the feel of a murder mystery, with clues threaded throughout and I enjoyed figuring out along side Alexia. Alexia’s Preternatural power was an interesting addition to the vampire/werewolf dynamic, just by touching them she nullified their powers. For all her strengths though, there’s a real vulnerability to Alexia, having been labeled a spinster at only 26. Even though she is very capable, she is constantly told how undesirable she is, whether that is by society or the Bureau of Unnatural Registry. At times she can be reckless in her search of knowledge and adventure but I had to admire her plucky attitude. The supporting characters really stood out, providing some of the funniest lines. There’s Lord Akeldama, a deliciously over-the-top vampire, Alexia’s sweet best friend Ivy, with an unfortunate taste in hats, and then there’s the family. They reminded me of the Bennetts from Pride & Prejudice, complete with overbearing mother prone to fits of hysteria and frivolous sisters obsessed with gossip. Alexia’s relationship with Lord Maccon has a Mr. Darcy-like quality too. Their initial dislike of each other grows into a mutual respect and then blossoming into romance. Even though Maccon is Alpha to the British werewolves, he is relatively new to the pitfalls of social etiquette and I loved watching him put his foot in it. His verbal sparring with Alexia was hilarious but it is when his second-in-command Professor Lyall tried to explain where he was going wrong that had me laughing out loud. I haven’t had this much fun reading a paranormal book in along time. 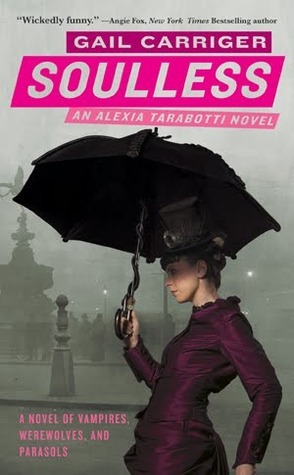 Combining several genres, Soulless has characters that jump off the pages and an intriguing plot, but best of all it has a great sense of humor. I can’t wait to read the rest of this series and see what trouble this new crime fighting duo runs into! I love this book! The rest of the series, isn’t as fabulous as the first, but they are still amazing. Sounds like this is such a good fit for fans of The Hollows. I’ve had this one sitting in my kindle for a while now and your review has convinced me to make this one a priority. Great review! This is one series that is even better in audio format- the narrator is wonderful. I’ve both read & listened to them because they are just so fun.